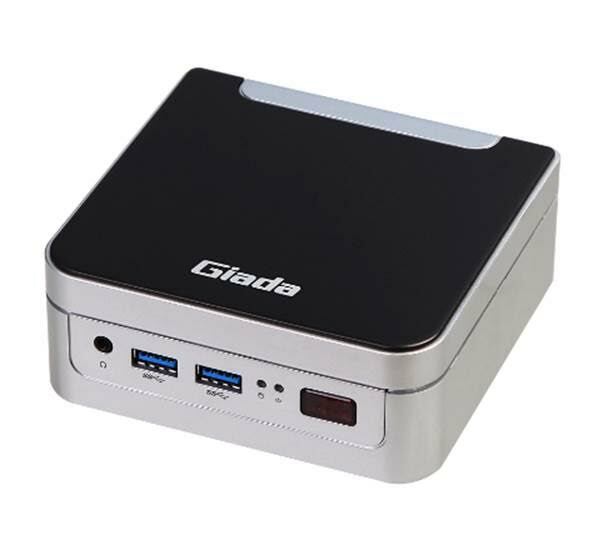 Giada Technology, the industry leader in embedded systems and expert in server technology, today officially announced the release of the i80 high-performance super-compact PC. 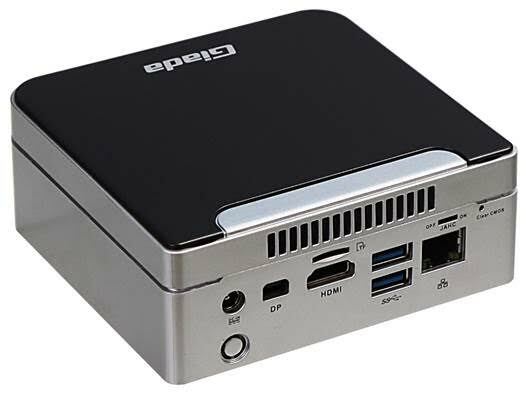 The i80 embodies the core principles of Intel's NUC (Next Unit of Computing) concept, offering great power, connectivity and adaptability, but with a tiny footprint. Powered by a 6th generation Intel Core CPU and the Skylake-U platform, the i80 provides a balanced system that's powerful and versatile when you need it to be, but also very compact and energy efficient. Despite its diminutive size, the i80 features dual independent monitor support, at up to 4K (4096 x 2304) resolution, via the HDMI and Mini-DP sockets. There’s efficient integrated Intel HD Graphics 520 built-in to drive video and graphics. Memory is expandable up to 16GB via two SO-DIMM sockets for DDR3L-1600 MHz memory modules, providing great support for today’s applications and far into the future. The dual channel capability significantly improves system and video performance. This core hardware offers great office and media benchmark performance. Internal expansion options are wide and varied, thanks to the full-length Mini PCIe socket with mSATA II support, and an additional half-length Mini PCIe socket with Wi-Fi or Bluetooth module support. There’s an internal 2.5-inch SATA drive bay, as well as an external mSATA III connector. The four high speed USB 3.0 connectors mean you won't need to add to office clutter with a USB hub, and you’re still very unlikely to run out of ports for office peripheral devices. Onboard Intel Gigabit Ethernet provides ultra-fast, stable networking, but with very low CPU utilization. With its attractive glossy piano varnish top cover, and blue and black color themes, this stylish unit is the perfect complement to the modern office environment, enhancing customer and staff satisfaction. But the i80 won’t attract attention unless you want it to, because this unit is super-compact, measuring only 116.6 x 111 x 47.5 mm, and has a VESA mounting option. Internally, the metal reinforced frame, V0 rated fireproof plastic and fan-cooled hardware make this a safe and durable choice for long-term use. The i80 system is ideal for general office, thin client and desktop virtualization applications. As an example, the internal sound and 2-in-1 microphone and headset connector give the Giada i80 great support for communications and call center applications. Meanwhile, the external power supply further reduces clutter, and helps prevent heat buildup, enhancing stability and durability for 24/7 operation. All common operating systems, Windows 7, 8.1, 10, and Linux are supported. Global market share for thin clients will surge from 30.2 percent in 2012 to 39.4 percent in 2018 according to IDC research. Innovative Giada products, like the i80, are perfectly positioned to catch this wave of adoption. Another useful feature is the JAHC power automation management function, including infrared remote control power on/off, auto start up when power is connected, time-scheduled power on/off, and auto system restart after crash. The i80 also supports Wake On LAN. All these features make the i80 an ideal partner for unattended operation in office and industrial scenarios. Giada offers a choice of two versatile CPU configurations for the i80. The i80-B5000 version of the product features the powerful Intel Core i5-6200U processor at 2.5 GHz (up to 2.8 GHz with Turbo Boost 2.0 enabled), while the i80-B3000 uses the lower-power 2.3 GHz Intel Core i3-6300U processor.